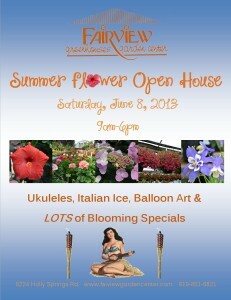 Join us for a patio party celebrating the blooms of summer and one of our biggest sales of the season! 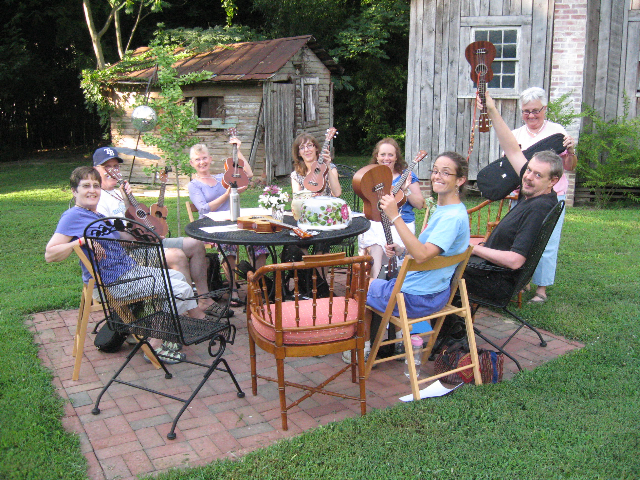 There will be plenty of tropical appeal including the sounds of Ukuleles from the Chapel Hill Uke Group and Classic Italian Ice from Sunset Slush of North Raleigh. 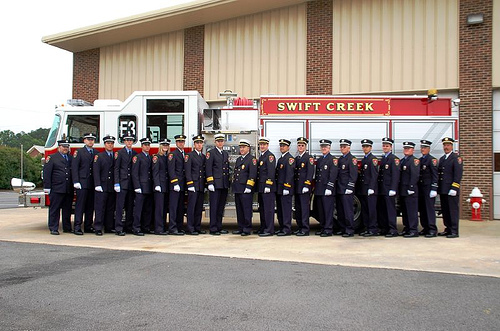 Kids will enjoy balloon art from Chelsea’s Balloons (12pm-2pm) and a fire engine from the Swift Creek Fire Department (10am-12pm). 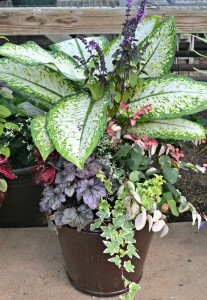 Don’t forget to enter your Container Garden for your chance to win a $200 Gift Card. 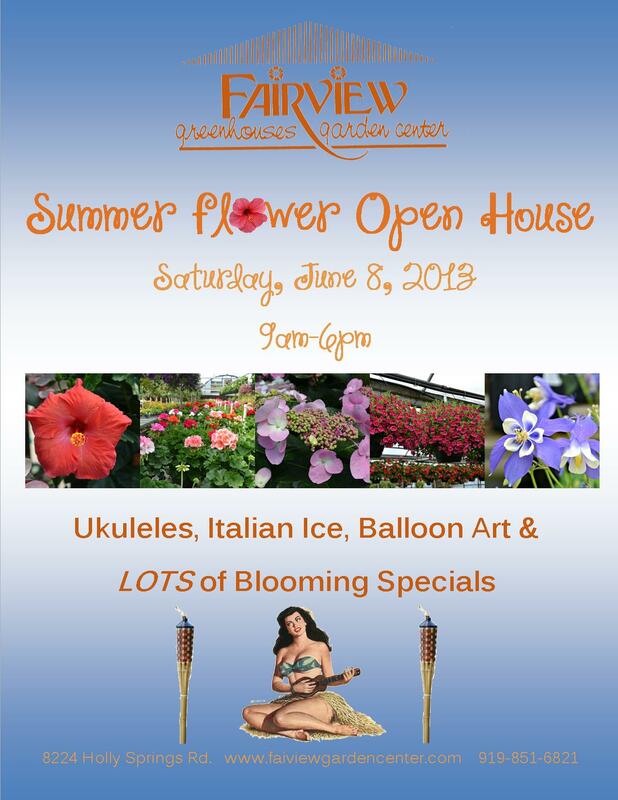 Finalists will be voted on a announced at the Summer Flower Open House.